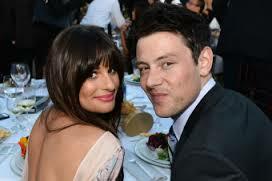 The 26-year-old actress was instrumental in convincing her 31-year-old boyfriend and 'Glee' co-star to check in to rehab in March for his addiction issues, and she thought he was clean when he died of a toxic mix of heroin and alcohol in Vancouver last week. A source said: "Lea has been inconsolable and feels like she's been hit by a truck. She didn't know he had started using again. "It seems that Cory woke up in the morning, spoke to some people and then decided to use drugs. "He was not a typical addict where it made him evil. He was the nicest sweetest guy." Lea was in Mexico with friends when Cory died and pals insists she never would have taken the vacation if she thought he was at risk. The insider added to Us Weekly magazine: "Lea would have never gone on that trip if she thought that he was having problems again. Before he went to rehab he was in a bad place. He would drink and use drugs, it just spiralled. "He came back from rehab, said he was fine and everyone believed it. Obviously he was dealing with so much pain inside. "He left too soon. It was a lifelong problem, not something that had a quick fix."